STAR CARTEL: Dammit, Jim... I'm Just A Smuggler! Home » Games » Tabletop Games » STAR CARTEL: Dammit, Jim… I’m Just A Smuggler! STAR CARTEL: Dammit, Jim… I’m Just A Smuggler! Osprey Games is really good at making “thinky” games. Two of my favorites from Osprey, The King Is Dead and Agamemnon both give my brain an excellent workout in a relatively short amount of time. So when I saw the box art for the upcoming Star Cartel, with its neon colored, retro-space look, I wasn’t sure what I was getting into. 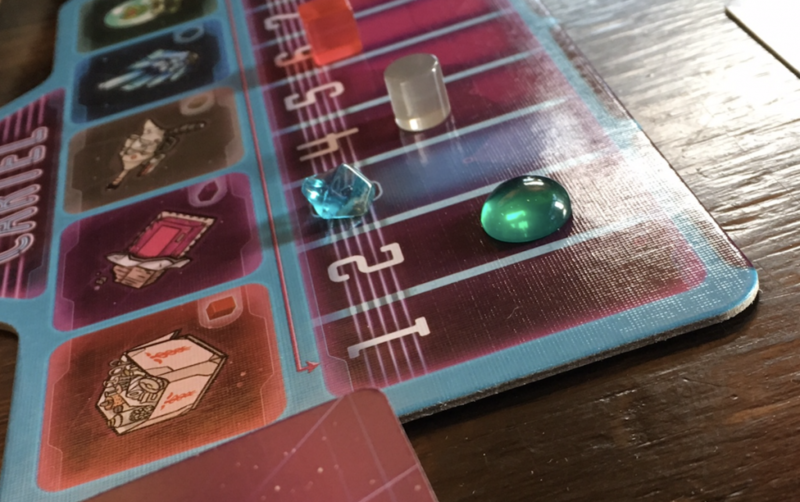 I am here to report, however, that Star Cartel is another excellent “thinky” game from this publisher. 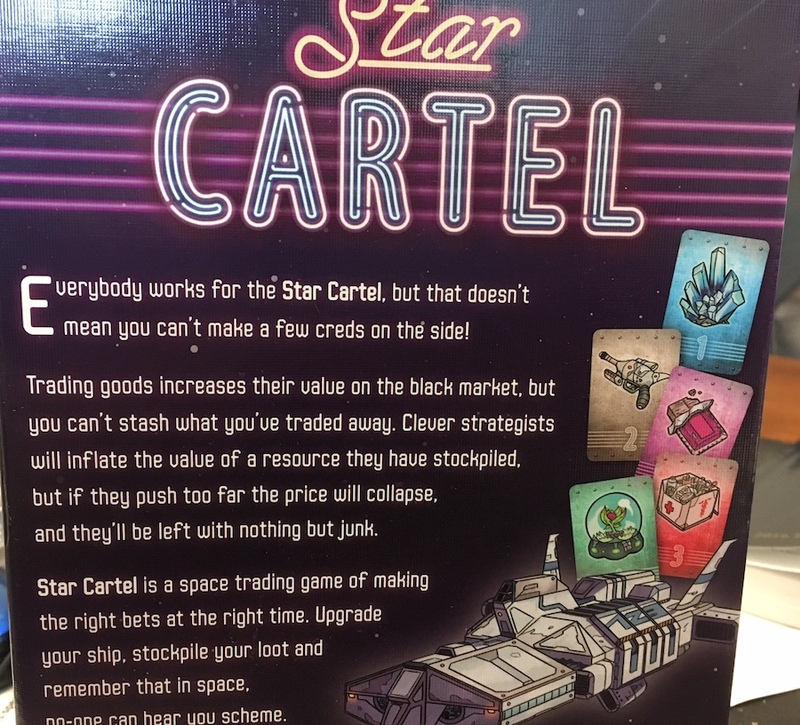 In Star Cartel (designed by Martin Boisselle) 3-6 players take turns loading contraband onto their ships and delivering those goods to the black market. There are four different kinds of goods (represented by cards ranging from 1-4 in numerical value) and the market rate for each type of good can range from 1-9. While the initial market value of each good is set at 3, every delivery causes two of the goods’ value to change, one up, and one down. Each player starts with a basic ship that can carry up to 7 goods before it makes a delivery. After making a delivery a player draws a new ship with a bigger cargo hold, and as the game progresses, ships also possess special powers which help to manipulate the market or have easier access to goods. When the last ship is drawn from the deck, each player gets on last turn and the game ends. By the end of the game, the largest ships can hold up to 17 goods. Ideally, a player hopes to have at least 3 of the 4 types of goods on her ship during a delivery. This is because the player must give the highest and lowest numbered goods to the market and can only keep one of the types of goods remaining, if any. If there are only two types of goods delivered, the player will keep none for scoring later. 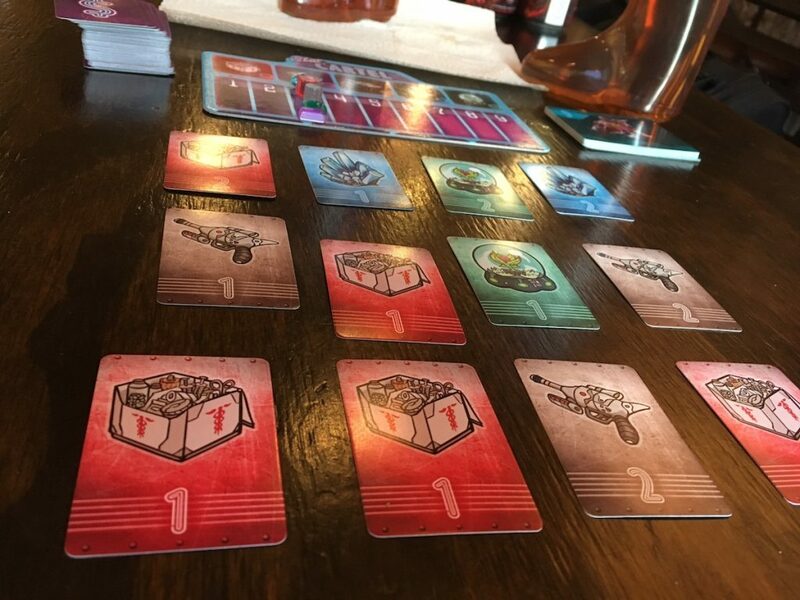 At the end of the game, players count up how many cards of each of the four types of goods they’ve stashed along the way and score the market the value (1-9) for each card of that type of good in their stash. Star Cartel requires mostly tactical thinking. It is hard to plan a grand strategy because the cards available to you each turn are different, as players continue to draw from the 3 x 4 grid of cards and manipulate the market with their deliveries. There are, however, several interesting choices to make each turn. Ultimately, you’ll have to roll with the punches better than your opponents to win the game. Turns move at a quick pace so there is little downtime and a full game should run about 30-45 minutes. 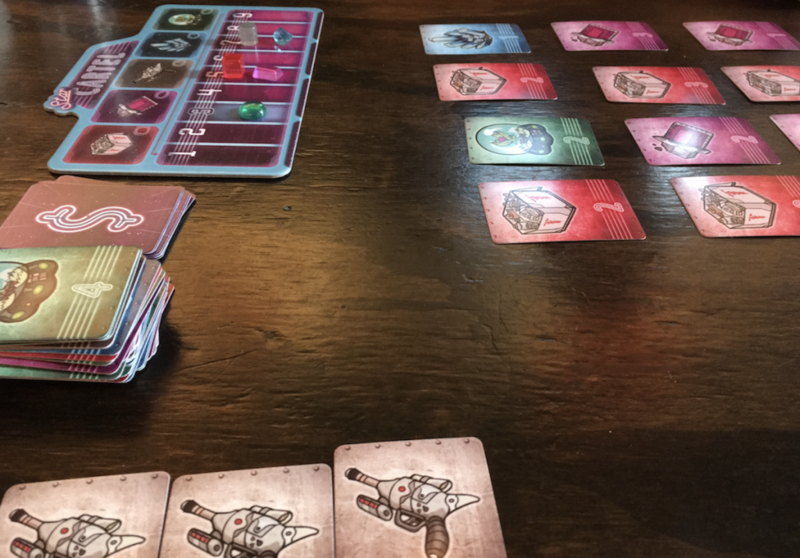 In the end, Star Cartel is a fun game that should have its place at many tables when it comes out this Fall. Check it out. Thanks for reading and keep nerding on. Rob is a board game lover who owns a game shop in central Georgia. He also likes writing articles for us. Specializing in board games and role-playing games. Large inventory, little prices.